In this fight against opioids, and other other addictive pain medications, I can only offer my perspective from what I know and my experience in treating pain. The body is a magnificent self healing entity, which doesn’t mean that it doesn’t need help from the outside environment. A slight push to help start the swing can be advantageous. As an holistic healthcare provider, I have a bias for using natural remedies and treatmets as first line against pain. There are plenty of studies on Google (pubmed if you’re looking for more scholarly resources) that documents acupuncture’s effectiveness on pain, whether it is acute or chronic, postoperative, or resulting from trauma, despite the mechanism of injury acupuncture is a great therapy for treatment of pain as well as other conditions. I treat many patients with low back pain. Lumbago is the medical term, refering to pain in the low back, particularly your lumbar region. This area is comprised of 5 larger vertebrae just above your hip and tail bone, known respectively as the sacrum and the coccyx. L4, L5, and S1 are most common areas for lumbar degeneration (spondylosis), slipping of the vertebrae (spondylolisthesis), or compression of the vertebrae disc (herniated disc). Also some patients will have a skin crease transversely across the region (transverse means along the horizontal plane, the X-Axis). 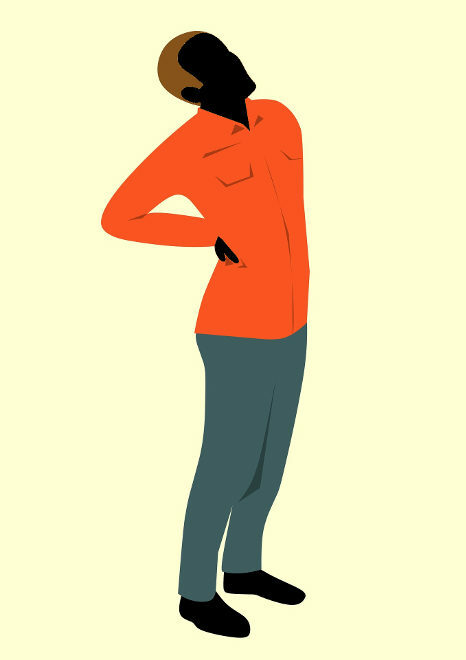 This can occur with a condition called lodorsis, in which the lumbar vertebrae are curved inwards too far resulting pain, weakness, and even numbness. Ok. A lot to absorb in one sitting. Throw in the towel. It’s Over. If these health conditions aren’t addressed properly, and strong pain medication is prescribed instead of treating the underling cause, you can see will lead down to a slippery slope. As a holistic healthcare provider I know how to speak the language in order to communicate more effectively what I do and how other acupuncturist may diagnose and treat as a whole. That is a good thing. Learning is a good thing. From all different angles. What can you do? What would I do? This is where the treatment and therapy come in. This is where there self education and self improvement come in. Notice the word self? It’s a partnership. If you’ve read any of my past posts, you may have a good idea of the modalities I use as an acupuncturist, which means that I don’t only have to use acupuncture needles to help improve a patient’s condition. Integrated with acupressure, cupping, diet and nutritional guidance, exercise, meditation, a good stretching routine, and good sleep. See the balance there? Something to do for you, something to do for me.